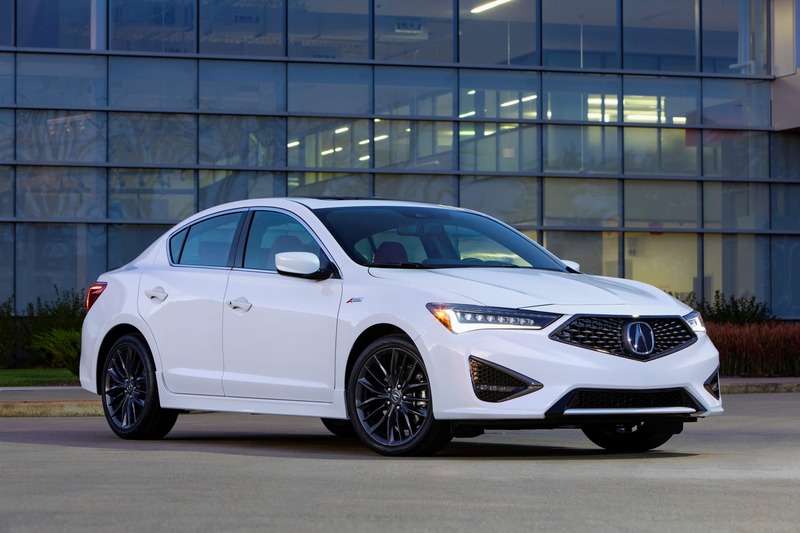 The 2019 Acura ILX not only gets a stylish remake and plenty of appealing safety, comfort and convenience technologies, it also boasts a surprising price cut, the base model coming in at just $26,895, including $995 in delivery fees. That’s a full $2,200 less than the outgoing ILX – and is actually the same price the luxury brand first asked for when the ILX was introduced in 2012. 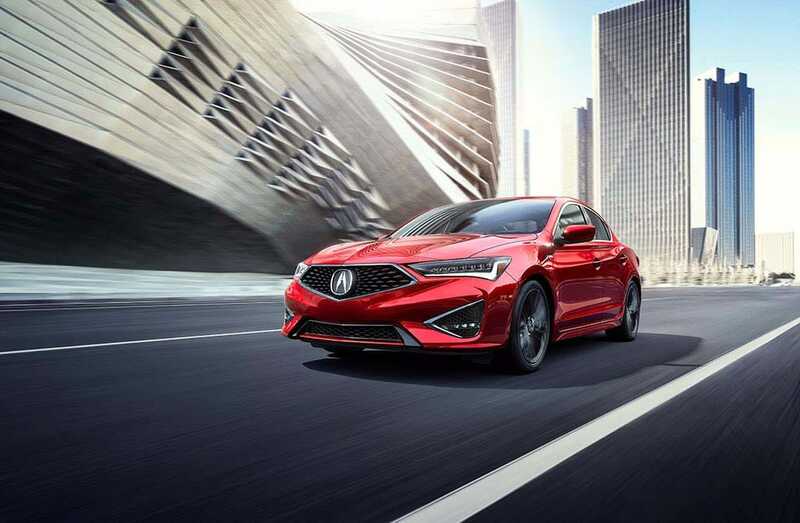 The 2019 Acura ILX borrows key design cues, including its grille and lamps, from the RDX. That’s not just a loss leader. Acura has discounted the mid-range ILX Premium by $2,450, bringing it in at a starting price of $28,645, a figure that includes such niceties as leather-trimmed seats, four-way power passenger seats and a suite of safety gear including the popular Blind Spot Detection. Acura also will have a sporty A-Spec version of the new ILX, which provides touches like black sueded seat inserts, a gloss-black decklid spoiler and darkened head and taillights. There also are a a variety of option packagess, including the Technology grouping, that will bring a fairly heavily loaded version of the 2019 ILX up to the low to mid-$30,000 range. That’s thousands below competitors such as the Audi A3 and Mercedes-Benz CLA. Deep discounts alone might win over wannabe luxury buyers on a budget, but the 2019 Acura ILX is more than just a bargain. As we quickly realized during a brief run inside the new sedan during a visit to the Honda test track near Columbus, Ohio last week, it’s both stylish and fun to drive. The coupe-like roofline doesn't compromise back seat headroom on the ILX. The 2019 ILX update picks up on key design cues that have already been introduced on models like the 2019 RDX. These include the “jewel eye” headlamps that each integrate seven individual LED bulbs, as well as the diamond pentagon grille that, to our relief, finally drives the last nail in the coffin of the last-generation Acura “Shield Nose” grille design, with its awkward aluminum beak. Lower air intakes give the face of the new ILX a sophisticated, if somewhat menacing, appearance as it rolls up in your rearview mirror. The sedan’s profile is rather coupe-like, meanwhile, without sacrificing rear seat headroom. From the rear, new LED taillights add a more premium feel, and the lowered license plate mount gives the back end a cleaner appearance. 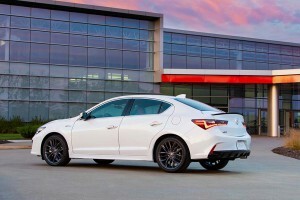 We’d have liked a dual exhaust, however, to maintain the ILX’s sporty pretensions. Inside, the ILX features a handsome layout, with a driver-oriented cockpit featuring sporty gauges and a steering wheel that feels good in one’s hands. The 2019 ILX adds features like Apple CarPlay - and a volume knob - but retains the old Acura infotainment system's twin screens. The sedan doesn’t get the distinctive new touchpad found on the 2019 RDX. Instead, there are twin LED displays that allow you to put navigation on top and operate other vehicle functions on the lower display. Thank you, Acura, for opting to return the volume knob. But could we also ask for a tuning knob, as well? Oddly, that is not a function addressed by the additional infotainment knob in the middle of the center stack. It’s an odd package and we’d like to see a complete switch to the RDX’s system with the next ILX update. Among the many new tech features, the infotainment system now integrates both Apple CarPlay and Android Auto. Meanwhile, there’s an area of active safety gear, collectively dubbed Acura Watch, that is standard across the ILX line. The sedan is motivated by a 2.4-liter inline-four mated to an eight-speed dual-clutch automatic. 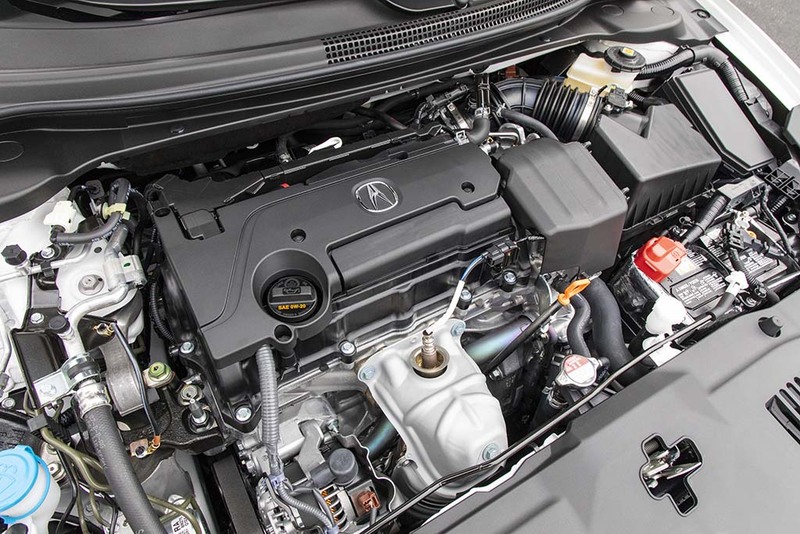 The engine choice is something of a surprise in that Acura opted for a naturally aspirated package, rather than the smaller turbo-fours that have become all but de rigueur in this segment. That said, it provides 201 horsepower and 180 pound-feet of torque that come on quickly when you give the throttle a hard push. There’s no turbo-lag, of course, and power continues to come on all the way up to near redline – though the powertrain does get a bit noisy under hard acceleration. 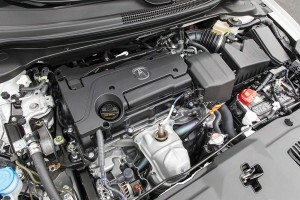 Acura opted for a naturally aspirated 2.4-liter engine, rather than a turbo, like many competitors. As for fuel economy, long-distance travelers will appreciate the 34 mpg highway rating, though the Acura sedan only manages 24 in the city and 28 in the EPA combined cycle. The underlying platform is borrowed from the Honda Civic. It’s a good starting point, considering how well the mainstream model has been engineered this time around. But Acura engineers have done a good job enhancing overall ride dynamics. Our ride was limited to the winding farm field roads outside Honda’s Transportation Research Center. The good news is that there were some sharp curves and real undulations on those local lanes, something you don’t find much of in mid-Ohio. And they demonstrated the poise of the new ILX. You had to really cook it into a corner before the tires would begin to complain. Even then, steering proved precise, with plenty of feedback for the driver. The A-Spec, with its bigger 18-inch wheels proved particularly adept. On the whole, the new 2019 Acura ILX is a big step forward. It completes the remake of the brand’s face, eliminating the awkward beak and replacing it with a stylish new look. It introduces much-welcomed technology and offers great driving dynamics. There are a few weaknesses, but none that are deal-breakers, especially when one considers the new pricing strategy. We expect the launch of the new sedan will bring a lot of new shoppers into Acura showrooms, even in an age when SUVs are king. This entry was posted on Tuesday, October 30th, 2018 at and is filed under Acura, Audi, Automakers, Automobiles, Business, First Drive, Honda, Markets, Mercedes, Reviews, Safety, Safety, Sales, Sedans, Technology, Technology, Trends, U.S./North America. You can follow any responses to this entry through the RSS 2.0 feed. Both comments and pings are currently closed.